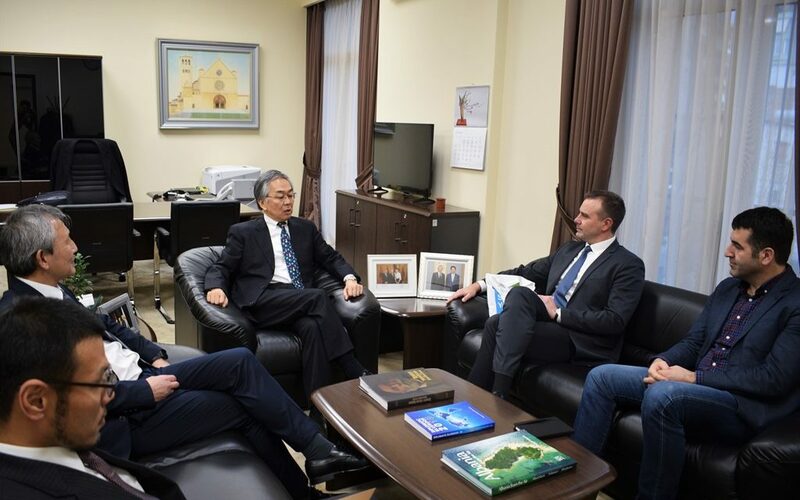 TIRANA – RYCO Secretary General and Deputy Secretary General, Mr Đuro Blanuša and Mr Fatos Mustafa, met in Tirana on Tuesday with Deputy Director General of European Affairs Bureau and Consular Affairs Bureau at the Ministry of Foreign Affairs (MOFA) of Japan H.E. Mr Jun Saito. The meeting discussed the RYCO ongoing activities as well as the cooperation and partnership between the organization and the Ministry. Mr Saito highlighted the huge success of the MIRAI program in which 17 young people from the Western Balkans took part in during the last year. He underlined that he met with the participants during their visit to Japan and shared his impressions on their dedication to the program. The RYCO representatives shared the organization’s mission and its priorities in the upcoming period, underlining the standpoint on young people as key stakeholders in the reconciliation efforts in the Western Balkans. Mr Blanuša pointed out that the partnership between MOFA and RYCO is one of the most fruitful partnerships of the organization, particularly the cooperation in MIRAI program. 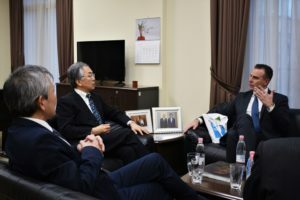 RYCO Secretary General thanked the Ambassador of Japan to Albania H.E. Mr Makoto Ito for the fruitful cooperation who pointed out that MOFA will continue the cooperation with RYCO on the MIRAI program. 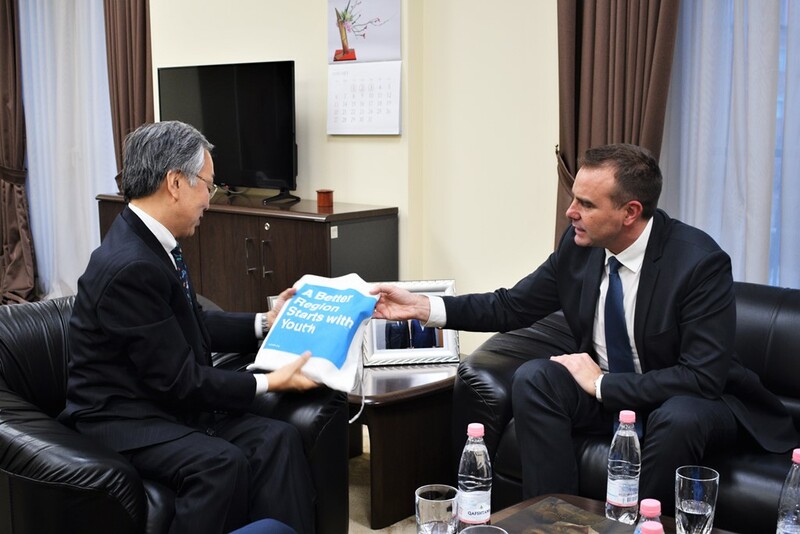 Mr Blanuša also said that it is important for the young people of the region to meet new cultures and that the Japanese culture has a lot to offer to them in their endeavors for learning more about others but also about themselves. RYCO Secretary General shared his satisfaction with the fact that the young people who took part in the MIRAI program are now organizing a number of events around the region where they will promote the Japanese culture, but also the cooperation between RYCO and the MOFA. Asked by Mr Saito on the challenges in RYCO’s work, the RYCO representatives pointed out that the levels of stereotypes and prejudices in the region are still high and that the mainstream nationalistic narratives in the Western Balkans do not serve the reconciliation efforts and the young people. They underlined that the cooperation modalities, such as RYCO is, are giving hope. Mr Saito expressed his hopes that the efforts of RYCO will stimulate the politicians of the Western Balkans to start listening to the young people of the region and their needs and concluded by pointing out that the communication between the decision makers and citizens is what democracy is all about.